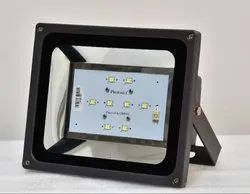 We are indulged in offering the finest quality Solar LED Light. Siddhi Vinayak Technologies (P) Ltd.
We offer a qualitative range of solar led street lights that are designed as per the requirements of the clients. Precision engineered using advanced technology, our range of solar led street lights are known for consuming less power and for their reliability, long lasting performance and efficiency. these varies from 6w to 18w dc street light. We are the leading company which is engaged in the manufacturing, exporting and supplying of Solar LED Light. We are counted amongst reckoned names in the industry, committed towards offering a wide gamut of LED Solar Light. The offered light is mainly used in parks and streets. Furthermore, we provide this light in different beautiful designs and shapes as per client-specific needs.